123-Awards.com is owned by Promotables, LLC -- a California Limited Liability Corporation established in 1999. 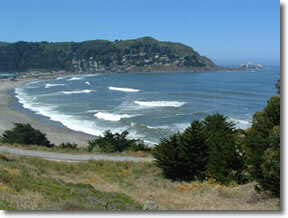 Our operations facilities, warehouse and offices are located at 1033 Terra Nova Blvd., Pacifica, CA 94044. The owners of Promotables are Carmen Ratti and Rod Gilchrist. Carmen has over 20 years experience in the awards industry and owns and operates a "bricks and mortar" bowling and awards store in Daly City, CA. He has bowled as a professional bowler for 11 years. Carmen is in charge of sales and merchandising. Rod has been building websites since the mid-90s and has worked as a journalist, photographer, multimedia developer, graphic artist, desktop publisher, and webmaster. Rod takes care of all of our technical needs as well as marketing. Carmen and Rod have been neighbors in Pacifica, CA since 1996 and created Promotables specifically to sell quality awards through the Internet. Our philosophy is to offer awards in an easy to use, easy to understand format -- thus, "It's As Easy As 123!"